The best-selling author of A Walk in the Woods and I'm a Stranger Here Myself describes his all-American childhood growing up as a member of the baby boom generation in the heart of Iowa, detailing his rich fantasy life as a superhero known as the Thunderbolt Kid and his his remarkably normal 1950s family life. Read by Bill Bryson. Simultaneous. 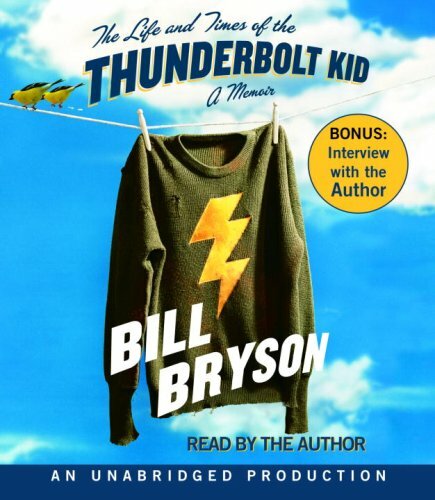 About: The author describes his all-American childhood growing up as a member of the baby boom generation in the heart of Iowa, detailing his rich fantasy life as a superhero known as the Thunderbolt Kid and his remarkably normal 1950s family life.